Super excited!!! "Chelsea Morning", the first track to be released off the new album, was just mixed by the fantastic Hanan Rubinstein, guitarist for Alicia Keys and Producer in his own right, at his New York Studio. Mastering is done by svante Forsback at Chartmakers, Helsinki. This track will soon be available here and on iTunes. Tad Robinson, one of my all-time-favorite vocalists with Sharrie and me. 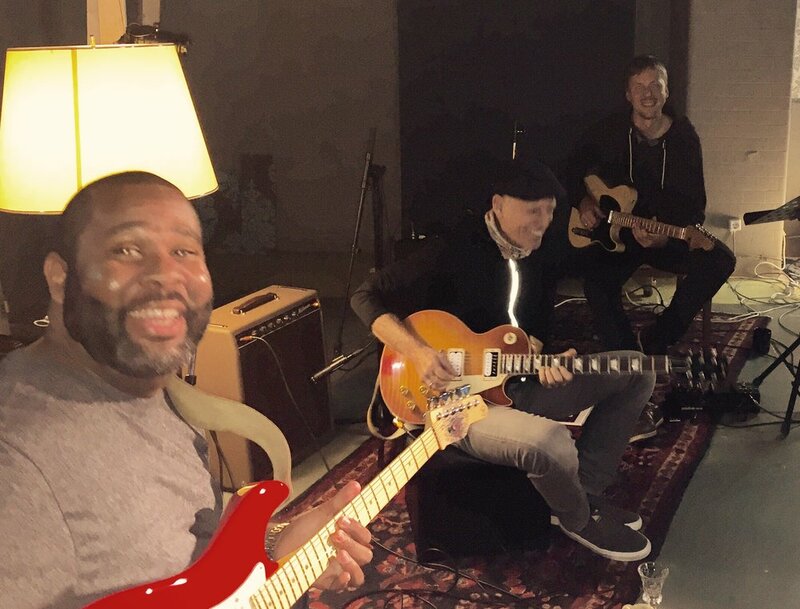 We performed together during "Jazztage Dresden" and I was able to get Tad in the studio, where he layed down vocals for some tracks that will appear on the new album. That stuff sounds just amazing! My old friend and tour buddy James Sexton played drums on one of the more mellow tunes of the new album. It's called "Kaloyan" and is kind of a Country-Gospel-ballad. It also features some beautiful Wurlitzer and Organ from Matthias Baetzel, Flugelhorn by Frank Bartsch and double bass by Tom Goetze. 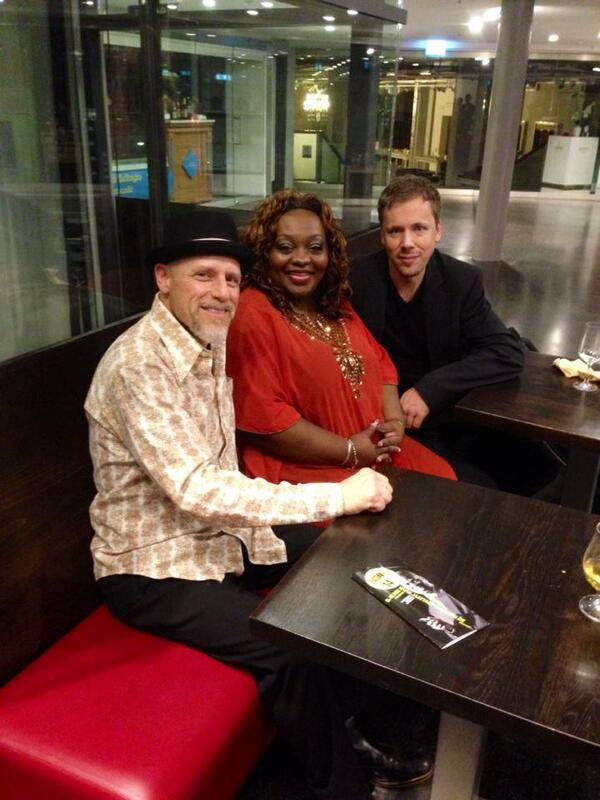 James has been touring with Dee Dee Bridgewater lately, watch out for this guy!! This is Kirkie Fletcher, Alex Schultz & me recording Alberto Marsico's tune "Denise And The Nephew" live in the studio. A Strat, Les Paul & a Tele, that's a powerful mix! As Alex later put it, "maybe the track's a bit guitar heavy" - so we flew in a sweet Organ-overdub by maestro Simon Oslender. not in the pic but live in the studio with us: tom goetze, drummer heiko jung & engineer jo gerstengarbe.